It is with great sadness that we have to report that Neil Cunningham passed away last night. He was 53 years of age and, as many Members will have been aware, had been suffering from the increasingly debilitating effects of Motor Neurone disease for several years. Born in New Zealand, Neil moved to Australia with his family when he was 12 years old and it was there that he started his racing career in 1979 with a well-used Holden Torana which was followed by a more competitive Holden Commodore. Runner up in the 1980 Queensland Touring Car Championship, three years later Neil was picked by Sir Jack Brabham as the Driver to Europe team mate to his son Gary to contest the British and European Formula Ford 2000 championships with Neil Trundle Racing. The following year Neil finished fifth in the European FF2000 championship but money was tight and he struggled for the next few years. However, he grafted away and by 1992 was able to finish as runner up in the British Rapid Fit Open FF1600 series with a works Swift SC92F. He was also on course to win that year’s Formula Ford Festival until side lined by a broken gear linkage. In 1993 Neil finished fourth in the Formula Renault UK Championship and in 1994 he won the Indian Formula Ford 1600 Championship before abandoning single seaters in favour of the British Eurocar V6 Championship which he won in 1996. In 1998 he won the British Marcos Mantis Championship and began to pick up drives in international GT and endurance racing. Over the next decade Neil competed in a variety of GT cars including a Dodge Viper GTS, Porsche 911 GT2, Morgan Aero 8 and Nissan 350Z. In 2005, sharing the Embassy Racing Porsche 996 GT3-RSR with Ben Collins, Neil enjoyed a particularly good season with victories at Silverstone and Knockhill, several other podium finishes and third place in the British GT Championship. As is well known, Ben was one of BBC Top Gear’s principal Stigs but Neil also filled the role, and performed much of the spectacular stunt driving, for some years. He was also the stunt driver of the black Alfa Romeo in the opening scenes of the James Bond film Quantum of Solace. 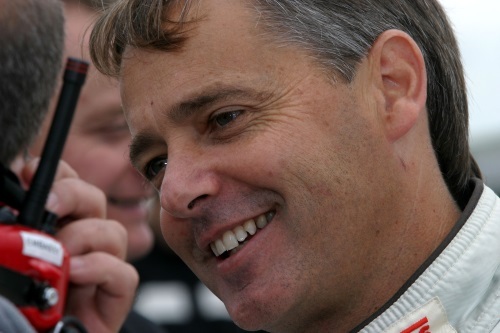 Members will recall Neil winning the Historic Touring Car race supporting the 2008 British Grand Prix after a spectacular battle in tricky conditions with John Young’s Alan Mann Mustang. By then he was beginning to suffer the early symptoms of MND and his racing days were nearly over. His last competitive outing, arranged by his great friend James Beckett, was in a Formula Ford 1600 race at Donington Park in 2011 when he qualified sixth out of 25 cars in very wet conditions. To his wife Rachel and their sons Bo and Teddy, and to his first wife Karen and their daughter Jaime, the BRDC extends its sincere condolences. Neil's funeral will be held on Thursday 9 June at midday at the Morriston Crematorium, Swansea, SA7 7HZ. A Memorial Service and reception will follow, venue to be confirmed. The family have requested no formal black dress, instead smart casual / colours / team shirts or whatever you feel Neil would appreciate.